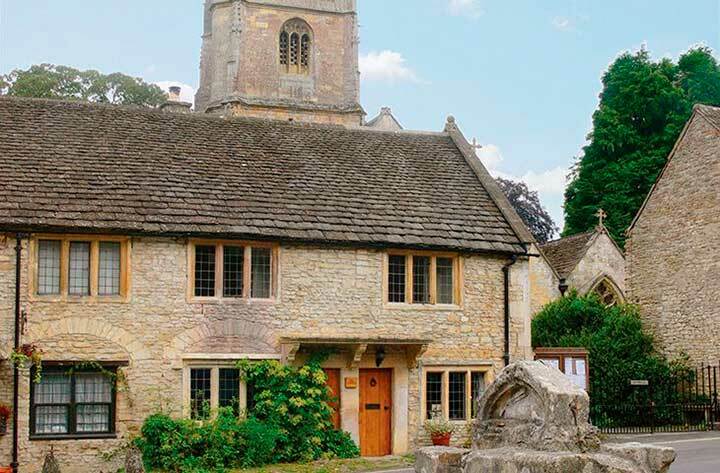 Voted England’s prettiest village, Castle Combe is the perfect destination should you wish to relax, walk and enjoy the slow pace of country life or visit the cosmopolitan cities of Bath & Bristol. 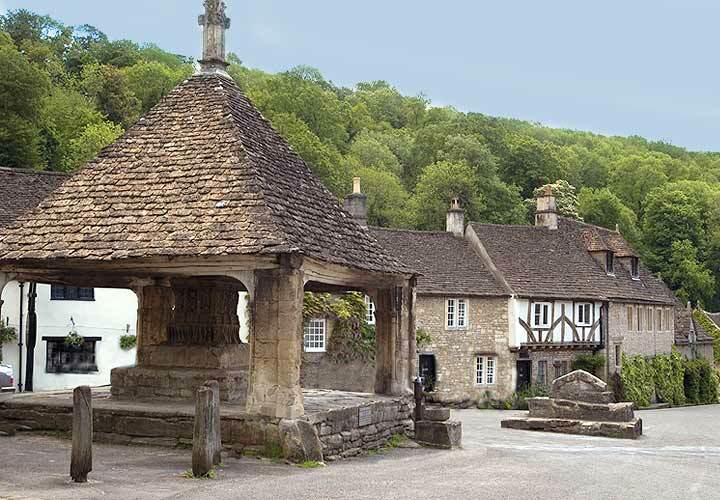 The Gates is set in the very heart of the idyllic village of Castle Combe; little has changed since the 15th Century with no street lights or TV aerials to detract from its ancient beauty. 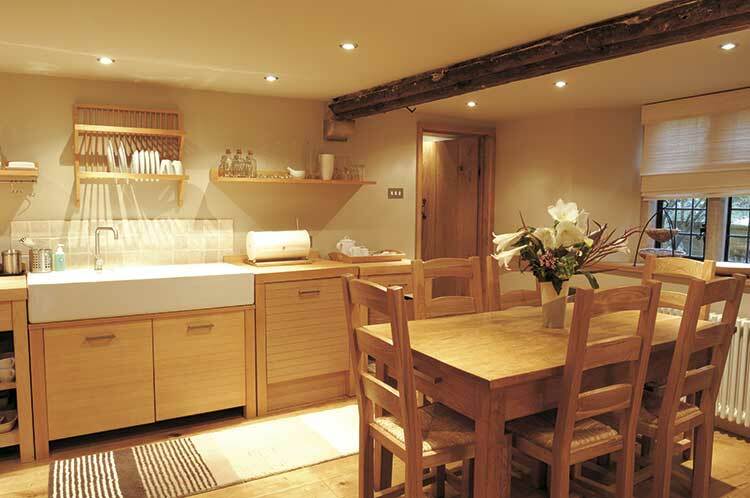 All the buildings are listed and nestled in the wooded Cotswold valley, the peaceful, tranquil atmosphere is absolutely breathtaking. 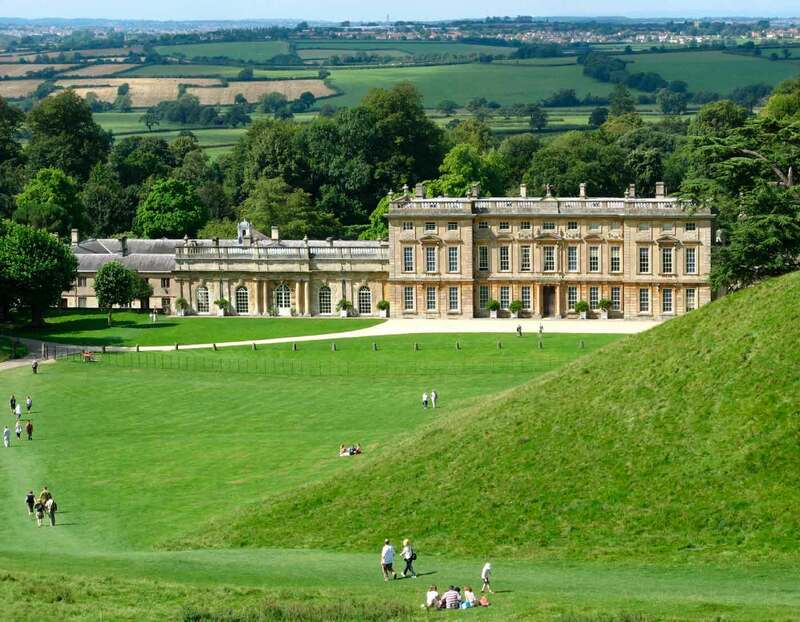 It is only a short drive from the cosmopolitan cities of Bath and Bristol, each offering a fantastic array of shops, restaurants, theatres and bars. 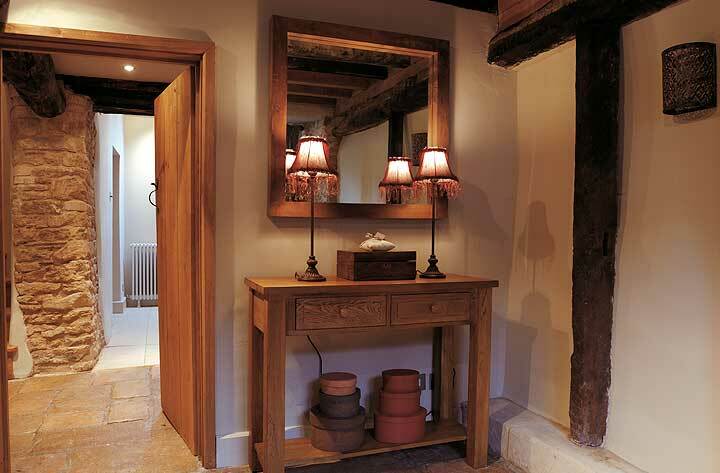 Staying at the Gates is a unique experience; beautifully refurbished but retaining all its character, the three bedroom cottage sleeps six in total luxury and comfort. With a fabulous king size iron bed set under the centuries old oak beams towering above your head, this master bedroom simply oozes with character, When not sleeping, have a bath, watch TV or pull back the sumptuous silk curtains to enjoy a perfect view of the village market place! With a pair of antique French beds, a ‘plank and muntin’ wall, made from rescued floor boards after the cottage was destroyed in a devastating fire in 2002, this bedroom is absolutely delightful. With a pretty antique French double bed and complementary furniture, this bedroom also has the benefit of an ensuite walk in shower, hand basin and WC. The view from the window is the beautiful churchyard grounds. The main shower room is of a very contemporary design; with natural stone mosaic tiles and mirrored wall. 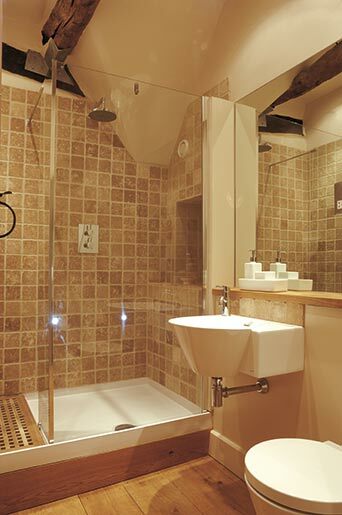 The large walk in shower has a drench showerhead for relaxing under after a long walk in the beautiful Cotswold countryside. 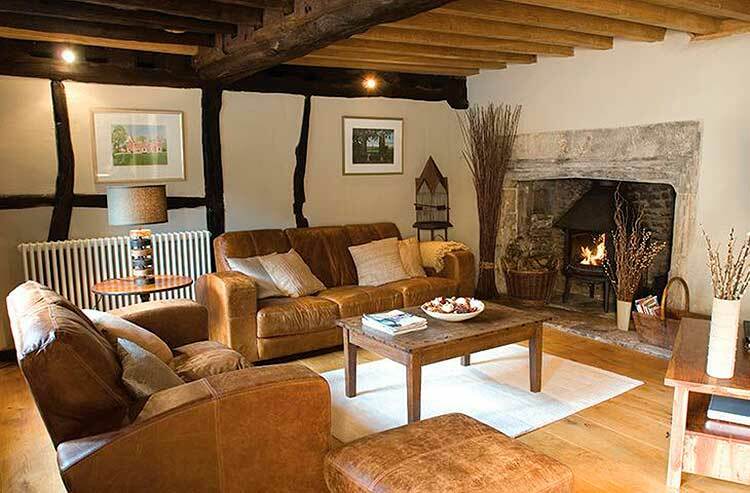 The lounge, with its exposed beams is a cosy room to relax in comfort; a large stone fireplace contains a warming log burning stove, adjacent is a wall mounted TV to relax and watch a DVD, digital channels or simply listen to music on your favourite radio station. 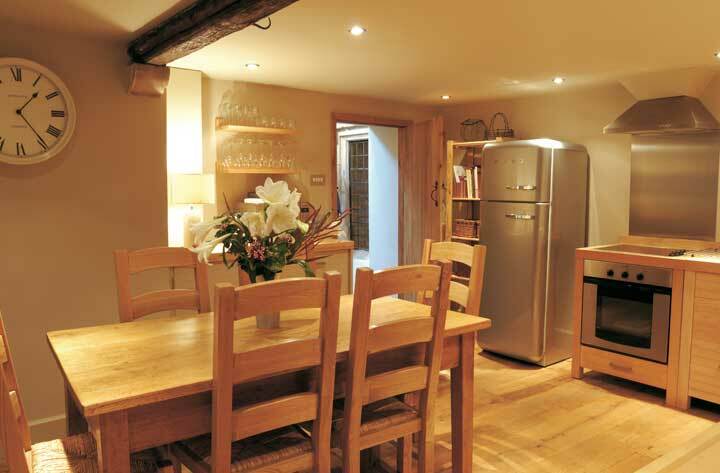 Perfect for cosy evenings staying in for dinner the kitchen has all the conveniences of a modern workspace but all the charm of a cottage kitchen. The large oak table and chairs have a view through the leaded window to the pretty churchyard. 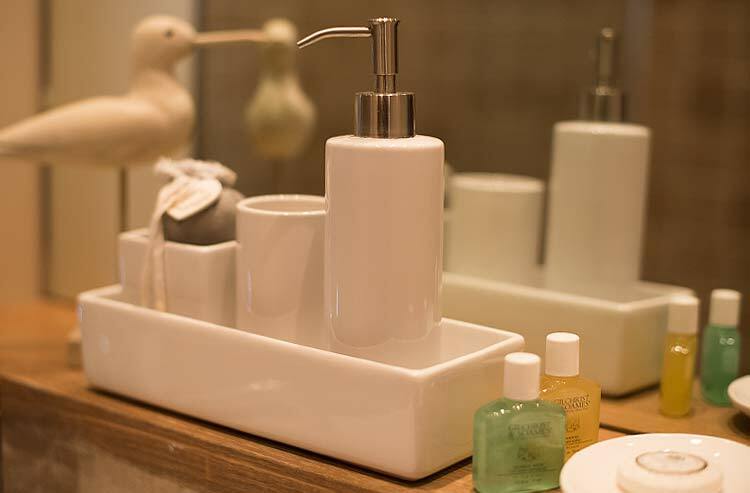 It is very well equipped with everything from a cafetiere to an egg cup! There is a dishwasher, ceramic hob and electric oven, microwave, retro fridge freezer and washing machine. 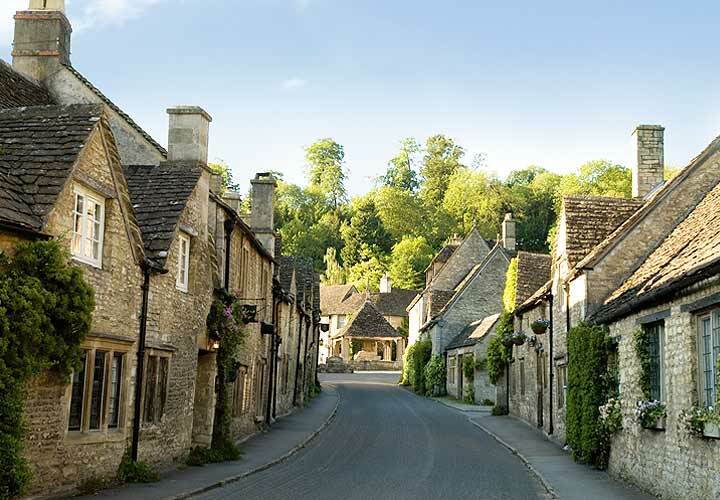 Castle Combe is situated in the south Cotswolds and within 10 minutes of the M4 motorway, under 100 miles from central London. 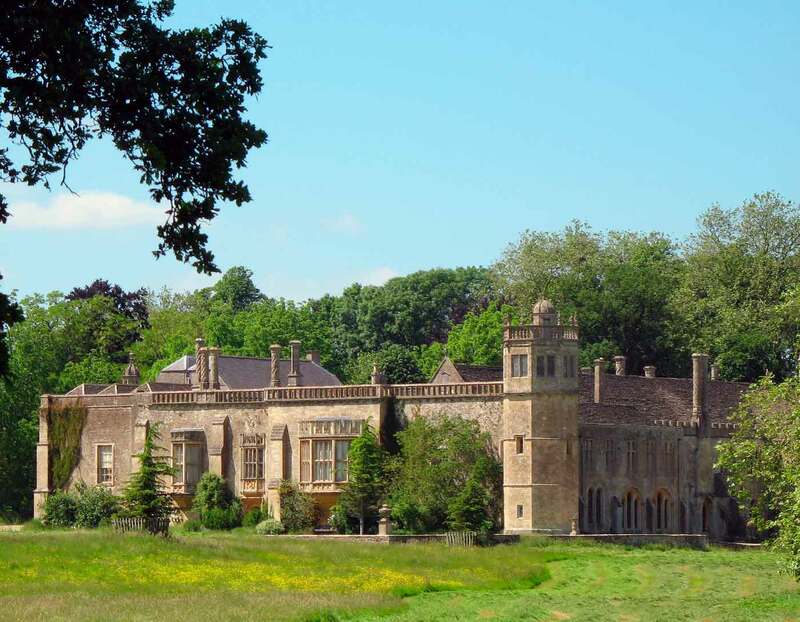 Nearby towns are Chippenham, Tetbury and Marlborough. Bath is only 12 miles away and Bristol 22 miles. 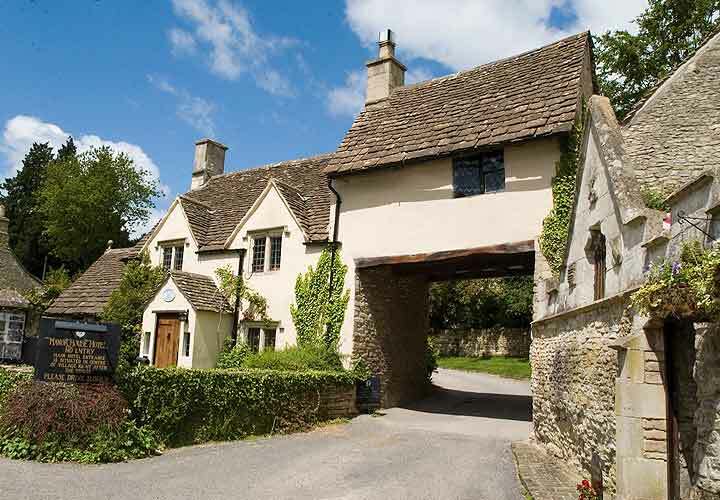 The Gates A lovely cottage in the centre of the beautiful village of Castle Combe, Wiltshire. Master bedroom with beautiful gothic window and freestanding bath. Double bedroom with ensuite shower/toilet overlooking the ancient churchyard. 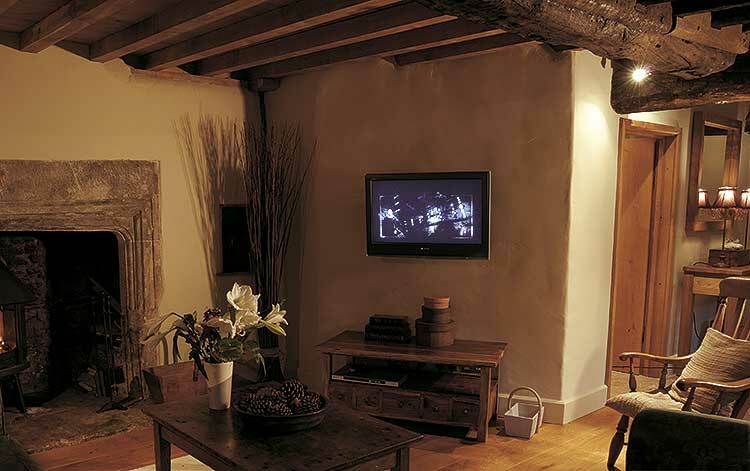 Twin bedroom overlooking the medieval village cross. First floor bathroom with shower. Beautiful ancient village surrounded by stunning countryside. Two Pubs - The Castle Inn and the White Hart. The Manor House - 5 Star Hotel and Restaurant with Spa and Golf Course. 12 miles from The City of Bath. Towns of interest - Malmesbury, Tetbury. Badminton Horse Trials (Held annually in May).